Our daily lives are largely made up of contacts with other people, during which we are constantly making judgments of their personalities and accommodating our behaviour to them in accordance with these judgments. A casual meeting of neighbours on the street, an employer giving instructions to an employee, a mother telling her children how to behave, a journey in a train where strangers eye one another without exchanging a word – all these involve mutual interpretations of personal qualities. Success in many vocations largely depends on skill in sizing up people. It is important not only to such professionals as the clinical psychologist, the psychiatrist or the social worker, but also to the doctor or lawyer in dealing with their clients, the businessman trying to outwit his rivals, the salesman with potential customers, the teacher with his pupils, not to speak of the pupils judging their teacher. Social life, indeed, would be impossible if we did not. to some extent, understand, and react to the motives and qualities of those we meet; and clearly we are sufficiently accurate for most practical purposes, although we also recognize that misinterpretations easily arise – particularly on the pare of others who judge us! Errors can often be corrected as we go along. But whenever we are pinned down to a definite decision about a person, which cannot easily be revised through his ‘feed-back’, the Inadequacies of our judgments become apparent. The hostess who wrongly thinks that the Smiths and the Joneses will get on well together can do little to retrieve the success of her party. A school or a business may be saddled for years with an undesirable member of staff, because the selection committee which interviewed him for a quarter of an hour misjudged his personality. Just because the process is so familiar and taken for granted, It has aroused little scientific curiosity until recently. Dramatists, writers and artists throughout the centuries have excelled in the portrayal of character, but have seldom stopped to ask how they, or we, get to know people, or how accurate is our knowledge. However, the popularity of such unscientific systems as Lavater’s physiognomy in the eighteenth century, Gall’s phrenology in the nineteenth, and of handwriting interpretations by graphologists, or palm-readings by Gypsies, show that people are aware of weaknesses in their judgments and desirous of better methods of diagnosis. It is natural that they should turn to psychology for help, in the belief that psychologists are specialists in ‘human nature’. This belief is hardly justified: for the primary aim of psychology had been to establish the general laws and principles underlying behaviour and thinking, rather than to apply these to concrete problems of the individual person. A great many professional psychologists still regard it as their main function to study the nature of learning, perception and motivation in the abstracted or average human being, or in lower organisms, and consider it premature to put so young a science to practical uses. They would disclaim the possession of any superior skill in judging their fellow-men. Indeed, being more aware of the difficulties than is the non-psychologist, they may be more reluctant to commit themselves to definite predictions or decisions about other people. Nevertheless, to an increasing extent psychologists are moving into educational, occupational, clinical and other applied fields, where they are called upon to use their expertise for such purposes as fitting the education or job to the child or adult,and the person to the job,Thus a considerable proportion of their activities consists of personality assessment. The success of psychologists in personality assessment has been limited, in comparison with what they have achieved in the fields of abilities and training, with the result that most people continue to rely on unscientific methods of assessment. 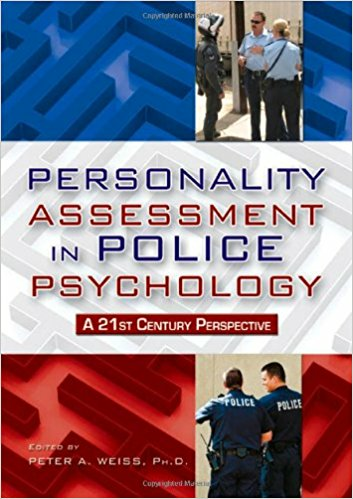 In recent times there has been a tremendous amount of work on personality tests, and on carefully controlled experimental studies of personality. Investigations of personality by Freudian and other ‘depth’ psychologists have an even longer history. And yet psychology seems to be no nearer to providing society with practicable techniques which are sufficiently reliable and accurate to win general acceptance. The soundness of the methods of psychologists in the field of personality assessment and the value of their work are under constant fire from other psychologists, and it is far from easy to prove their worth. The growth of psychology has probably helped responsible members of society to become more aware of the difficulties of assessment. But it is not much use telling employers, educationists and judges how inaccurately they diagnose the personalities with which they have to deal unless psychologists are sure that they can provide something better. Even when university psychologists themselves appoint a new member of staff, they almost always resort to the traditional techniques of assessing the candidates through interviews, past records, and testimonials, and probably make at least as many bad appointments as other employers do. However, a large amount of experimental development of better methods has been carried out since 1940 by groups of psychologists in the Armed Services and in the Civil Service, and by such organizations as the (British) National Institute of Industrial Psychology and the American Institute of Research. Reading passage has seven paragraphs A-Q. Write your answers in box 8 on your answer sheet. Which THREE of the following are stated about psychologists involved in personality assessment? A ‘Depth’ psychologists are better at it than some other kinds of psychologist. B Many of them accept that their conclusions are unreliable. C They receive criticism from psychologists not involved in the field. D They have made people realise how hard the subject is. E They have told people what not to do, rather than what they should do. F They keep changing their minds about what the best approaches are. Answer: YES People often feel that they have been wrongly assessed. Answer: NOT GIVEN Unscientific systems of personality assessment have been of some use. Answer: YES People make false assumptions about the expertise of psychologists. Answer: YES It is likely that some psychologists are no better than anyone else at assessing personality. Answer: NO Research since 1940 has been based on acceptance of previous theories.